A few weeks ago, we had a free conference call with Lee Charles Kelley, where callers had the opportunity to ask questions about whatever is going on with their dogs and get answers from Lee (and yours truly). 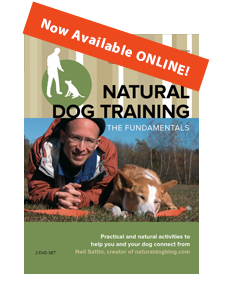 I personally love these calls, as it allows you to get a sense of how Natural Dog Training principles can be applied in your specific situation, with the added benefit of learning from the questions asked by others on the call. Like with the conference call with Kevin Behan, you also get the perspective of a couple different trainers - so you get to hear the subtle differences in how we approach problems as well - or how we collaborate in coming up with solutions. A woman with a 100-lb dog who persistently fights at the fence with her neighbor's dog. A teacup Yorkie who goes a little crazy and pees in the house when guests come over. A dog who has suddenly developed the habit of barking at people passing by the house. 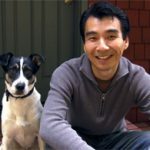 Lee's article called "Conflict 101"
Lee's article called "Leash Training 102"
Neil's article on how to use Redirection/Rechanneling to turn your dog's attraction to something else into greater attraction to you. After you've listened, I'd love your thoughts! Here's the thread in the forum for discussing the Conference Call with Lee Charles Kelley.